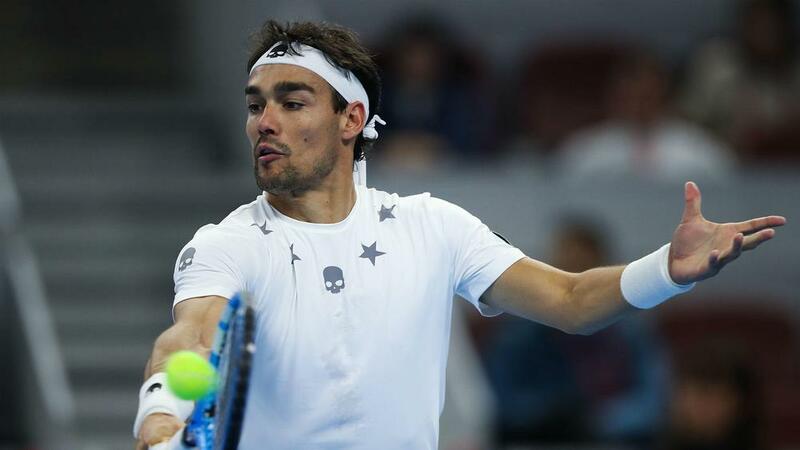 Fabio Fognini has been handed a suspended ban from two grand slams and fined $96,000 for comments made to an umpire during his first-round US Open loss in August. The Italian was deemed to have displayed "aggravated behaviour and conduct contrary to the integrity of the game" by the Grand Slam Board after he was heard using insulting language towards Swedish official Louise Engzell during his defeat to Stefano Travaglia. Fognini's fine will be reduced to $48,000 and his major suspension - one of which must include the US Open - will go unserved if he does not commit another offence in the next two seasons. He had already been fined $24,000 for on-site offences at Flushing Meadows. A statement from the Grand Slam Board read: "Mr Fognini accepts and will not appeal this decision and he has expressed remorse for his admitted misconduct. "He has confidence that he will meet the conditions necessary to reduce his financial penalty and to lift his grand slam tournament suspensions in the future."